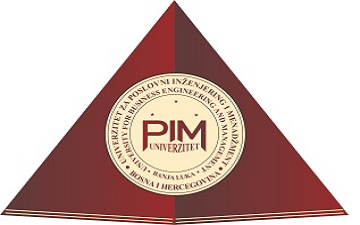 The University of Business Engineering and Management Banja Luka (PEM University) is a high-quality university in Bosnia and Herzegovina. The University consists of five faculties (Faculty of Law, Faculty of Economics, Faculty of Engineering, Faculty of Computer Science and the Faculty of Philosophy) with nine study programs. Priorities in scientific research work are: a) work on programs of basic researches, technological development, innovations and integrated researches; b) publishing scientific publications, organization of scientific conferences and promotion of science; and, c) stimulating innovation activities at the PEM University.